This September will see Visionquest release ‘Selector’ from Luke Hess, coming accompanied with remixes from Delsin artist d5, label co-founder Lee Curtiss and Maher Daniel. 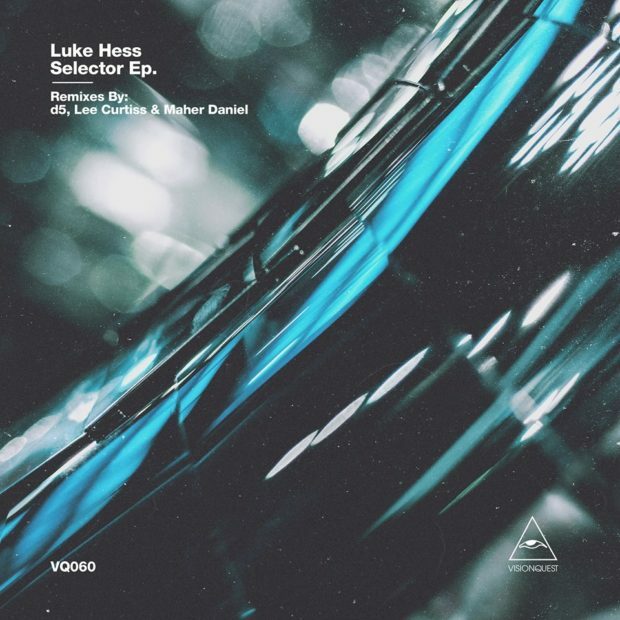 Detroit artist Luke Hess has been one of the most celebrated acts coming out of the motor city over the past decade with an impressive back catalogue boasting material on Omar S’ FXHE, Carl Craig’s Planet E, Echochord and Kontra-Musik to name but a few. Here though we see Hess join the roster of Visionquest following recent output from Wareika, Vlad Caia, Tuccillo and Mirko Loko. Title cut ‘Selector’ takes the lead and Luke Hess delivers his signature energy fuelled dub-led style with spiralling stab sequences, electronic jazz-tinged synth licks and a robust rhythmic drive. Delsin’s d5 steps up next on remix duties, delivering a similarly dubbed-out aesthetic while introducing glitchy arp’s, smoothly evolving string lines and a more refined drum style. Opening the latter half of the package is Visionquest’s very own Lee Curtiss taking on ‘Selector’ with a contrasting approach, dropping the tempo to create a slow burning feel with bumpy percussion, chugging bass tones and sporadic sweeps. Maher Daniels closes with the final remix, delivering a less-is-more interpretation focusing on intricately evolving atmospheric in the depths of the record while a sturdy rhythmic foundation carries the groove.